THE PUBLIC APPOINTMENTS Service is preparing for around 20,000 applications, once the new Garda positions are advertised. Minister for Justice Alan Shatter announced earlier this year that he would be lifting the recruitment ban for the force, which was introduced as part of a wider public service hiring freeze in the wake of the downturn; Public Expenditure Minister Brendan Howlin sanctioned that new officers could be recruited. A date in late September or early October has been “penciled in” by the Public Appointments Service for the jobs to be advertised, a spokesperson for the service told TheJournal.ie. The exact number of jobs that will be up for grabs initially has not yet been decided by Government, but it is expected the amount will be enough to cover the numbers leaving through retirement, the spokesperson said. Minister Shatter has also said he expects “a very large number” to apply for the roles. 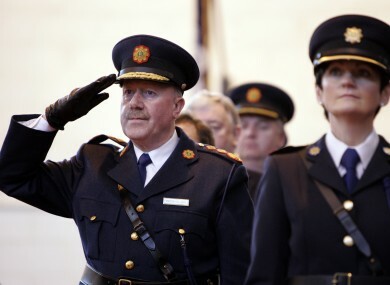 Garda Commissioner Martin Callinan said in May that he wanted to see recruitment begin again soon as the number of gardaí dipped below 13,000. The latest information on the Garda website, from March, says there are 13,366 members of the force (10,933 classed as ‘gardaí’, the remainder as sergeants or higher ranks). One hundred garda stations will have been closed down by the end of this year as part of a major cost-cutting exercise by the Department of Justice. Email “20,000 expected to apply for Garda positions ”. Feedback on “20,000 expected to apply for Garda positions ”.